A reprieve for Canadian Gold Miners has emerged with a window opening up for financing. As a result six companies have jumped in to take advantage of this before it slams shut again. These are Romarco Minerals Inc., Detour Gold Corp., Osisko Gold Royalties Ltd., Primero Mining Corp., Asanko Gold Inc., and Richmont Mines Corp as a result they are raising almost $800 million. between them. Only last week Yamana Gold Inc. announced a $260.2-million equity deal and Lydian International Ltd. Has opted for a $16.5 million deal. The recent jump in the gold price has increased confidence in the market place and, after being asleep for two years, investor enthusiasm is slowly awakening. Last Wednesday gold peaked at 1300 dollars an ounce, the highest ever since August last year. "We see it over and over again. These windows open so quickly and might be so short," said Jay Kellerman, managing partner at Stikeman Elliott LLP. "Who would have imagined this [financing wave] a week ago?" "I think the bankers and the companies have been waiting and planning for some time for a window," said Jeremy Fraiberg, co-chair of the mining group at Osler, Hoskin & Harcourt LLP. "You've had a very bad financing market for gold companies. They clearly have financing needs that have been going unmet." All companies are likely to use the cash for further project developments and Osisko, being a royalty company is more likely to use it tin finance further acquisitions. With the rise in the gold price, and increased financing deals, other gold miners could jump on the band wagon. But they will need to hurry as the window for financing could close down any day, especially if there is a dip in the gold price. Of course the Canadian dollar, sinking to a new low for six years after an unexpected rate cut by the Canadian Central bank and a depressed oil market might be influencing the banks to find other sources to sell their money. Either way, the gold price seems to have a brighter future. You can now buy gold from the Royal Mint in the UK. The Royal Mint has just launched a campaign to sell minute gold and silver bars. These bars are small and the gold bars range from 1 gram to 100 grams. Silver bars are only available in 100 gram units. 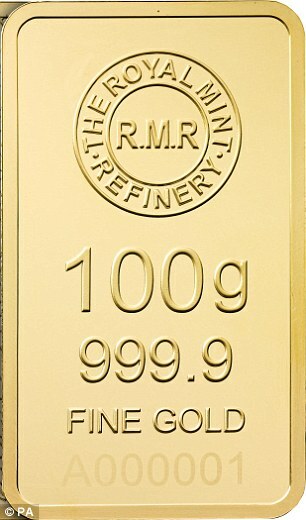 All bars have the Royal Mint Refinery brand (see image). This was last used in 1928 and has been revived again especially for this issue. All bars will also have a unique serial number. This is the first time the Royal Mint has started selling precious metal direct to the public. However at £40 for a single gram gold bar and £2,800 for a 100 gram gold bar these are an expensive way to buy gold. And in view of this price customers are more likely to be the curious, those wishing to bolster their pension plan and the general uninformed rather than gold buffs who would most likely buy gold from a gold dealer. 'We are thrilled to be able to add minted bars bearing the historic Royal Mint Refinery marque to our bullion range.' Said Lisa Elward, the Royal Mint's head of international sales and bullion. The big advantage is that they are VAT-free. In addition UK citizens who want to boost their self-invested personal pension (Sipp) or small self-administered scheme with a stable asset can get up to 45 per cent tax relief on their purchase of the gold or silver bars if they are bought through their pension scheme. The bars are available for purchase direct from the royalbullion.com site. 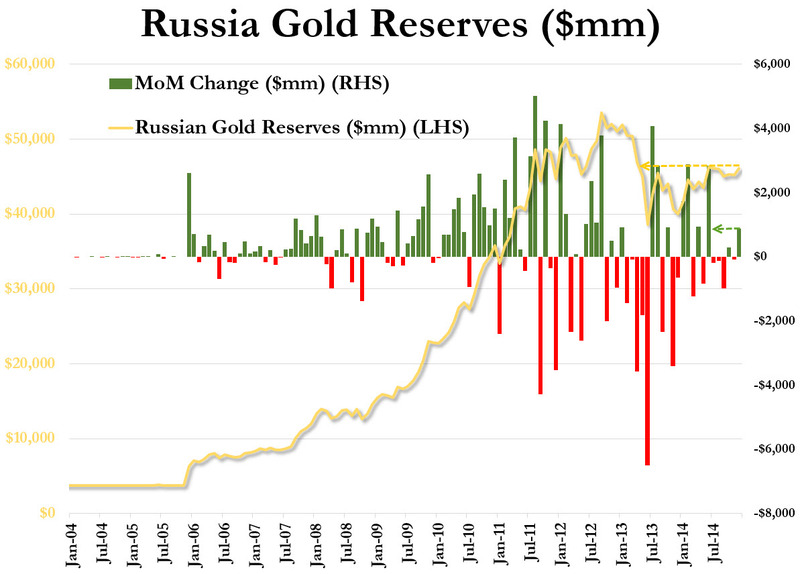 Seems that despite the rumors of Russia selling its gold reserves are just that. In fact Russia has bought more gold than ever with their gold reserves rising in December to over 46 million dollars. All the talk by some western analysts and US officials about Russia selling off gold was just that. Talk. It did nothing except lower the gold price so Russia could buy more cheaper. And they did! "There are a few caveats to these figures that Western analysts of the Russian economy tend to ignore. These are: USD 19.8 billion of outflows in Q4 2014 were down to new liquidity supply measures by the CB of Russia which extended new currency credit lines to Russian banks. In other words, these are loans. One can assume the banks will default on these, or one can assume that they will repay these loans. In the former case, outflows will not be reversible, in the latter case they will be. In Q1-Q3 2014 net outflows of capital that were accounted for by the banks repayment of foreign funding lines (remember the sanctions on banks came in Q2-Q3 2014) amounted to USD16.1 billion. You can call this outflow of funds or you can call it paying down debt. The former sounds ominous, the latter sounds less so - repaying debts improves balance sheets. But, hey, it wouldn�t be so apocalyptic, thus. We do not have aggregated data on this for Q4 2014 yet, but on monthly basis, same outflows for the banking sector amounted to at least USD11.8 billion. So that's USD 27.9 billion in forced banks deleveraging in 2014." At the same time they are reducing their exposure to US Treasury Bonds with the holdings falling year after year to an all-time low since 2008. 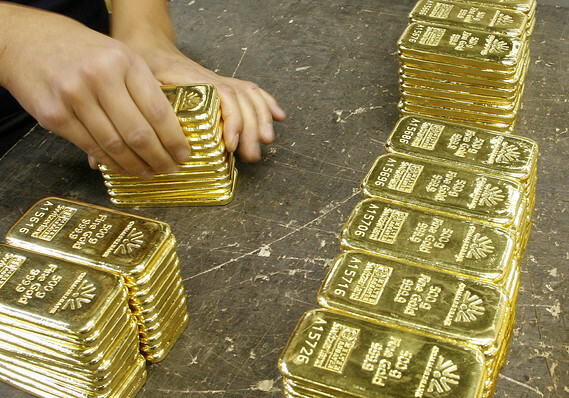 Both Russia and China are buying gold for all their worth. And both are reducing their holdings in US bonds and debt. So, In the case of China, it is not all down to the year of the Goat in China and simply hoarding gold in Russia. Maybe there is a message there? In fact it looks more like reducing the exposure to the US currency manipulation of reducing the US debt by printing more money and reducing the value of each dollar thereby and the subsequent debt. The debt sound like more but the value of each dollar is being eroded by quantity so the value is actually less. China and Russia want their pound of flesh, and they will take it in gold. Gold miners struggling for funds while China buys up all the gold. Gold miners are struggling to maintain a finance stream as equity and banks move away from the arena. More and more are turning to alternative sources of finance in order to continue production. Banks are turning away from commodity trading (possibly contributing to the drop in commodity trading to a 12 year low) and seem more averse to financing gold production. However stream financing and private institutions and individuals sensing a bargain in the offing, seem to be coming to the rescue and are taking up the slack. "We have never been busier," said David Harquail, chief executive of royalty and streaming company Franco-Nevada . "Our office is now full and we spend all our time trying to juggle which projects we can devote resources too." Randy Smallwood, the head of the largest company specialised in streaming, Silver Wheaton, said they had looked at twice as many opportunities in 2014 than in 2012 and expected 2015 to be even busier. "Timing is everything... We do think that we are close to a bottom here now, just by virtue of the cost to produce metals," he said. When a royalty deal is struck the company that makes and upfront payment receives an annual royalty at a fixed (discounted) price. The advantage is that the producer or miner can continue production while the company making the payment gets a royalty stream for as long as the contract is agreed upon. a PwC global survey of gold, silver and copper mining companies showed that the number of miners able to raise capital in the equity market in 2014 has dropped by half with project financing declining by around 20 percent. Is Chinese gold buying raising the gold price? The Chinese New Year this year is on Thursday February the 19th and will be the year of the Goat. This is traditionally a year of prosperity and well being. For people born in past years of the goat (1919, 1931, 1943, 1955, 1967, 1979, 1991, 2003 ), 2015 will be a year of great significance. Of course New year gifts include ther time honored practice of gold gifting and so many Chinese are buying up gold to give as Gifts for the new year. The Shanghai Gold exchange has released figures that show there is going to be a lot of gold gift giving this year. In the last three days of December last year gold withdrawals were around 29 tonnes of gold. And with such a long run up to the actual New Year we can expect to see some very strong gold withdrawal figures in January. Hence the boost in the gold price in what is usually a slow part of the year for gold. Reuters reports, a Shanghai trader saying "We saw consistently strong buying this week, premiums and volumes are better than what we saw in the last month." And to confirm this the Shanghai Gold Exchange Premiums for gold have increased to 7 dollars an ounce and could rise further. A good indication is that banks are preparing to meet a heavily increasing demand for gold in Withdrawals are now averaging 50 tonnes a week for the last three months and this is only set to increase. All good news for the January sales, the gold price and gold buffs. Is Gold on the Turn? After being in the doldrums since its peak in 2011 to 1900, gold seems to be on the turn. Despite heavy buying and selling of gold ETFs gold is starting to climb steadily and has now hit $1235, the highest in a month. Could this be the turning point? And could this could be partially due to the the gradual movement of the world's gold to Asian and emergence of gold trading in Asian, the jockeying of power between the BRIC nations and the USA. Or could it be due to the crash of commodities lead by a plummeting oil price to a 12 year low? The last time such a fall was recorded was in 1999 and again 2008 just before the stock crashes. The drop in oil price is a big worry for the US as it signals a drop in economic growth. Goldman Sachs has been quoted as saying 'oil will be around $40 for much of the first half of the year.' Meanwhile, Saudi Prince Alwaleed bin Talal has stated, "I'm sure we're never going to see $100 anymore." With the Prince citing both an oversupply and a weak demand. Imagine if your salary each month was paid to you in Gold bars. Well if you work for BullionStar, a precious metal dealer in Singapore, then you can be paid in pure gold instead of paper money. Many staff, including the sales manager Vincent Tie are now paid a percentage of their salary in gold bars. "If I save in a paper currency in a bank, the interest paid to me cannot beat the rate of inflation, so essentially I am losing purchasing power. That means that I am buying less with my wealth," said Mr Tie on why he went for the heavy metal option. If a staff member earns 3,200 dollars a month, they can opt to be paid with two gold pars worth 1,600 dollars each and it is possible for a higher earning staff or executive member to be paid with a kilogram bar Bullion Star is expecting more and more staff to take up the offer. "Precious metals have served as money throughout most of history for some 6,000 years. So, staying true to this belief that we have that precious metals might once again return in some form or shape as money, it is quite natural for us to also offer our employees salary payments in gold and silver," said BullionStar CEO Torgny Persson. There are still some paperwork issue to be worked out of course. "All employers are obligated to pay salary within seven days of its due date. They also have to ensure that the calculations of the basic pay is clear and transparent," said Mr Erman Tan, President of the Singapore Human Resources Institute. "At a later stage, all the employers are required to produce a stipulated pay slip as well. These administration issues will be part of the consideration." However this might be obviated with staff contractually agreeing to be paid in ounces or grams of gold rather than dollars. I have always said that China intends buying up all or most of the gold on this planet and this is becoming more and more apparent year by year. Just recently The Chairman of the Shanghai Gold Exchange (SGE), Xu Luode, in a keynote speech, revealed that Chinese gold demand reached 2000 tonnes in 2013. The speech, translated and published in the LBMA Journal, The Alchemist # 75 also revealed that China has been the largest gold producer for seven consecutive years with a steady increase up to 430 tonnes last year (see chart). China is now well in front of Australia, the next largest gold producer of 255 tonnes and the USA at 227 tonnes. Luode also revealed that, "Last year, China imported 1,540 tonnes of gold. Such imports, together with the 430 tonnes of gold we produced ourselves, means that we have, in effect, supplied approximately 2,000 tonnes of gold last year." He also pointed out something which has been fairly well understood in the international gold market for some time. "China also has an overall goal for the opening up of our gold market to the world. First of all, we should leverage the opportunities presented by RMB internationalisation to open up China's gold market gradually to the world. Secondly, we have technically implemented such opening up through the establishment of our Shanghai Gold Exchange International Board. So how do we open up to the world? The international board will help to open the door and invite everyone into China's gold market. Thirdly, we find that we should have a target of serving global investors to create an influential international gold market in China. In other words, China should still have the opportunity to become a prominent gold market, and Shanghai should become a global centre for gold trading. I think we are rather confident about this. This is our goal." Gold researcher and GATA consultant Koos Jansen in the Bullion Star was quick to spot and point out the lack of attention by the western media/press of this momentous event. i.e., gold demand reaching 2000 tonnes. Despite Luode saying it three times in his speech. Gold is cheap for China right now. The cost of digging it out of the ground in China is significantly cheaper than in the west and with the overall price of gold down from its peak the overall cost means that China has the opportunity of increasing its overall gold holdings at a reduced rate. Is the Shanghai International Gold Exchange a Sign of the Future Gold Market? The Shanghai International Gold Exchange (SGEI) was officially launched on September the 18th and instantly began trading gold contracts. The SGEI is a subsidiary of the Shanghai Gold Exchange which has been the top gold trading location in the world for the past seven years, trading 11,600 tonnes of gold in 2013 alone. "This event is a major milestone in China's opening of its financial market to foreign investors ..."
" ... gold market is an important and integral part of China's financial market. We are now the largest gold producer, as well as the biggest gold importer and consumer in the world. In recent years, the People's Bank of China has taken to heart the national policies and guidelines on greater reform and opening-up of our entire financial sector, and made steady improvement to laws and regulations of the gold market, promoted its well-regulated growth and development, and was the main driver in transforming China's gold market from a market for commodities into a market for financial products; from a market for purely spot trading to a market offering both spot and derivatives trading; and from a domestic market into an international one." " ... the International Board will bolster China's gold market toward greater trading volume and centralization, further highlight the price discovery function of the gold market..."
" ... People's Bank of China will continue to support the sustainable growth and sound development of the China's gold market." International traders can now trade gold in renminbi in the SGEI in the Shanghai Free Trade Zone. Shanghai has imported almost 16 billion US dollars' worth of gold in the first eight months of this year (2014) and just recently teo tonnes of gold arrived in Shanghai and was stored in a wharehouse. "Since the SGE announced in June that it plans to allow foreign investment into China's gold market, gold imports passing through Shanghai's Pudong International Airport went up by 200% month on month." Gold in China has a high cost price than the western futures market, costing as much as 31 dollars an ounce and 42 dollars less than the London spot price according to a report by Bloomberg. Gold in China this year cost as much as $31 an ounce more and $42 less than the London spot price, according to data compiled by Bloomberg. It seems that the gold market is never going to be the same again with the flow of gold moving steadily east. The suppression of the gold (and silver) price by the west has not done them any favours other than provide a cheap method of acquisition of most of the world gold and a fat bonus for Chinese and other eastern investors. The US constitution states that, "No state shall ... make anything but gold and silver coin a tender in payment of debts." Yet in federal law, if you buy goods or services with gold, you have to declare as taxable any gain or appreciation on the gold you used for the purchase. However it is not actually law, just administrative law. A choice morsel of law which the tax office came up with outside of the judicial and congressional process. The actual law, as signed by the President and the Supreme Court, has been affirmed over the years, confirms that gold and silver coins are ferally - sorry, federally regarded as one and the same as the sunburnt splendour of the US dollar. Once upon a time this would have made little difference. But since that was introduced times have changed. The dollar has been eroded by continual 'Quantative Easing' or in other words printing vast quantities of dollar notes, resulting in a big disparity between the values of the dollar and gold. Of course the IRA has viewed this with alarm as it provides a way in which taxes can be reduced significantly. Using gold, at today's prices for goods and services is far more tax efficient than using dollars. As Brian Domitrovic pointed out in a recent article in Forbes magazine. "Let's say the members of a community somewhere here in the USA decide to do all their business in gold. The dollar price of everything would be much less. A $3 latte would go for about ten gold cents, in that the price of gold on the market (circa $1267 per ounce) exceeds that of the official Treasury price ($42.22) by a factor of thirty. If this community is of decent size, any number of businesses and individuals could make close all their income via gold transactions. Somebody might clear, for example, $3000 in gold income in a year, or $90,000 if translated into paper dollars. Because of the abundantly established legal precedent for treating gold and paper dollars the same, the maximum subject to taxation would be the $3000, an amount easily eliminated by the standard deduction on the income tax." In a vain attempt to put a stop to this the IRS has called this "frivolous" but it seems there is no real way to prevent it as it is not actual law but just 'administrative law' which not law at all but a arbitrary ruling that violates the constitution and existing law. Notwithstanding this many States are starting to wake up and introduce their own laws in conformity with the constitutional law. The State of Utah was one of the first, Oklahoma is another one. Arizona is a third and others are following jumping on the band wagon. Essentially banning taxes on the use of gold in transactions. Other attempts to circumcise - sorry, circumnavigate the paper currency debacle have included personal gold and silver coins being produced, virtual gold such as e-gold and similar, and recently bit coin. Doubtless more inventive ways to avoids the diminishing value of the dollar will be created. Overseas, China and Russia are moving to distance themselves from the grip of the US dollar and overall confidence in the US dollar is diminishing fast. China is continuing to challenge the dominance of the West (London and New York) over trading in the gold market. The Shanghai Gold Exchange (SGE), due to open in a month or so, is in front of target, signing up eager foreign members. The SGE has signed up 40 companies, well over the target 30, including many foreign banks eager to be able to trade gold in Yuan instead of the usual US dollar. The Bourse will open in September the 29th in the Shanghai free-trade zone, starting with three Yuan-denominated physical gold contracts, of 100 grams, 1 kg and the bigger London gold delivery bar weighing 12.5 kg, respectively, according to a close source. According to Bernhard Schnellmann, director of the Swiss-based Argor-Heraeus, "It is too important a market to stay away,"
He went on, "I think the SGE will be successful with this new exchange as they have a big home market and there should be enough liquidity." "Having a gold contract delivered in the free trade zone in local currency is interesting in terms of bringing together the onshore and offshore players," said one trader with a bullion bank that is considering being part of the exchange. Market sources have said HSBC, AND Banking group, Standard Bank, Standard charted, Bank of Nova Scotia and even JP Morgan have shown interest. 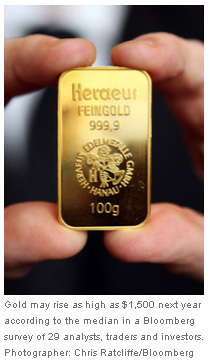 Refiners such as the Perth Mint and Argor-Heraeus are also considering membership. Offshore trading is currently restricted to certain financial centres such as Hong Kong, London and Singapore so this will give the Chinese currency more exposure with less need to trade or exchange in US dollars and will boost the Yuan as an international currency. As the price of gold has dropped 32 percent since the all-time high of 1900 dollars an ounce in September 2011, meant gold miners are now seeking ways to reduce their costs. The cost of mining gold can vary considerably. "Gold mining costs are not uniform," according to UBS's Art Cashin. "They vary from mine to mine and from level to level within each mine." The variation can be quite large as evidenced by the mining giant Barrick Gold have issued a chart that includes the cost of mining an ounce of gold at each of their sites. The range is very large depending on the site and can vary from $333 dollars up to $3,764 an ounce. 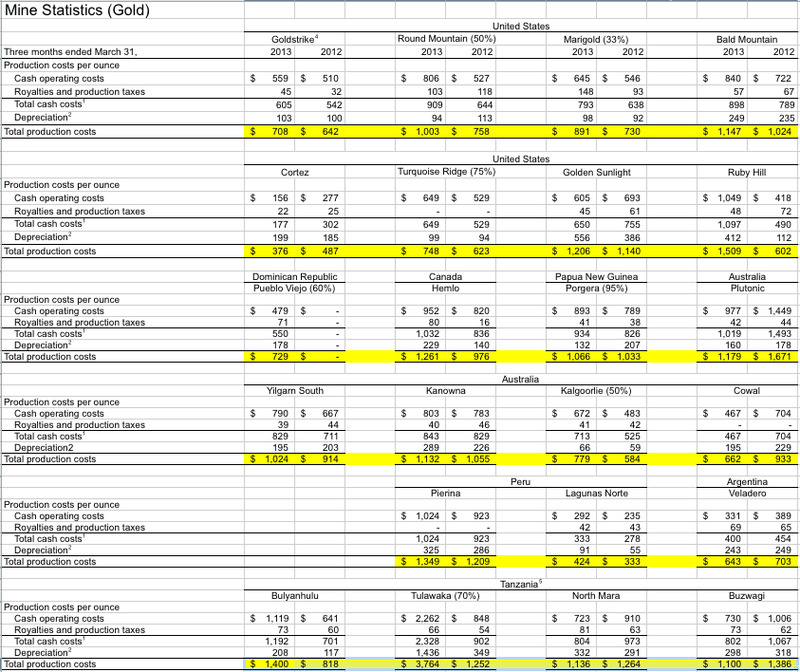 As you can see below, the cost of mining an ounce of gold for Barrick ranges from $333 to $3,764 per ounce. Meanwhile In Vietnam, Ranked 7th largest gold consumer in the world by The World Gold Council, consumed 92.2 tons of gold with a value of 4.16 billion. Up 20 percent on 2012. According to a report by the World Gold Council, "2014 has seen a pause in the schedule of the central bank's gold auctions, causing a supply squeeze that has kept the domestic price premium high at around US$100-150/oz. [more than global prices]," the World Gold Council said in its report. "As a result, interest in chi rings (plain, gold rings with low mark-ups) as an investment proxy remains high and will increase if tight supply conditions persist in the bar market," the council continued, adding that "unofficial flows continue to supplement the official supply." The Bo Gold Exchange traded Fund has so far raised 47.5 million dollars or 292.2million Yuan according to Bosera Funds and the launch date could be as close as September according to Bosera Funds. The fund will invest in spot gold contracts and trade on the Shenzhen Stock Exchange. Three Gold ETFs are currently trading on the exchange, HuaAn Gold ETF and Goutai Gold ETF who were launched in mid-2013 and E Fund Gold ETF who launched in December last year after raising 500.4 million Yuen. Although a major report recently published by the World Gold Council, "Chinas gold market: progress and prospects" reports that the private sector demand is going to increase by at least 20 percent over the next 3 years, Bloomberg seems to have embarked on a campaign to undermine confidence in gold by inferring that Gold demand is shrinking in China when this is clearly not the case. Bloomberg is claiming that gold demand shrank in the second quarter of 2014 by almost half, 52 percent in fact and is predicting doom and gloom for gold in the Asia pacific region with a likely gold price by the end of 2014 of 1040 dollars per ounce. Gold will drop to $1,050 an ounce by the end of 2014 as the U.S. recovery accelerates, according to Goldman Sachs. Never one to boost the gold price, especially considering the short selling they participate in. However, this is contrary to a major report published by the World Gold Council "China's gold market: progress and prospects" suggests that private sector demand for gold in China is set to increase 20% from the current level of 1,132 tonnes(t) per year to at least 1,350t by 20171. Following the record level of Chinese demand in 2013, which saw the country become the world's largest gold market, the report suggests that while 2014 is likely to see consolidation, the succeeding years are likely to see sustained growth. And Koos Jansen, Gold researcher and GATA consultant, of BullionStar has indicated, "In week 29 (July 14 -18) 32 metric tonnes were withdrawn from SGE vaults and in week 30 (July 20 - 25) 33 tonnes were withdrawn. Both lower than the year to date average of 35.4 tonnes, but higher than the five week moving average trend (5 WMA). In total 1063 tonnes has been withdrawn year to date. The premium on gold at the SGE is still hovering around zero." n addition he reports that the total China Gold reserves is now at 15,000 tonnes and this is backed up by the fact that weekly gold withdrawals from the Shanghai Gold Exchange (1063 mt YTD) is higher than World Mining Production (1545 mt YTD). Gold withdrawn from the SGE this year to date is around 1063 tonnes. This is going to China. The world gold council, however, does not record gold hoards by wealthy Chinese families. So Gold is still very much the flavour of the year in Asia, especially in China and India, both of which are accumulating around 50 percent of the world's total gold at any one time. GoldMoney Now Storing 1.5 Billion Dollars of Gold! GoldMoney has increased its storage of gold to $1.4 Billion dollars worth of gold for over 22,000 clients around the world. GoldMoney has offices in London, Jersey and Hong Kong. It offers its customers storage facilities in Canada, Hong Kong, Singapore, Switzerland and the UK provided by the leading non-bank vault operators Brink's, Via Mat, Malca-Amit, G4S and Rhenus Logistics. GoldMoney is one of the world's leading providers of physical gold, silver, platinum and palladium for retail and corporate customers. Customers can trade and store precious metal online easily and securely, 24 hours a day. Not only that but there are no minimum or maximum deposits or withdrawls. One can deposit or withdrawn any amount. Chinese demand for gold remains strong with Chinese gold reserves reaching an estimated 15,000 tonnes. 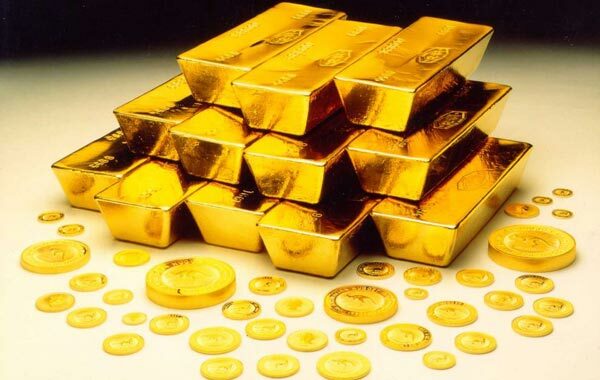 According to Jasen Koos, Gold Researcher and GATA Consultant,"In week 29 (July 14 -18) 32 metric tonnes were withdrawn from SGE vaults and in week 30 (July 20 - 25) 33 tonnes were withdrawn. Both lower than the year to date average of 35.4 tonnes, but higher than the five week moving average trend (5 WMA). In total 1063 tonnes has been withdrawn year to date. The premium on gold at the SGE is still hovering around zero." It is estimated that china has imported just over 670 tonnes of gold this year so far. This does not include the massive gold mining currently underway in Tibet. Large scale valuable mineral resources are being extracted by the Chinese Government in Tibet including copper, gold, and silver. Other precous resources being mined include. lead, zinc, molybdenum, asbestos, uranium, chromium, lithium and many more. GoldMoney holdings pass US$1 billion mark 1 June 2010 - GoldMoney, one of the worlds largest providers and holders of physical bullion for retail investors, now stores more than US$1 billion of assets on behalf of its customers. The company has achieved a growth of 112% over less than 18 months based on US $476 million of customer assets at the beginning of 2009, thanks to particularly strong demand for physical gold. Geoff Turk, CEO of GoldMoney, said: "Investors are now more than ever looking for a safe haven for their money. As gold has, on average, registered a yearly appreciation of approximately 17% over the past nine years, many investors have chosen to safeguard their portfolio by owning a tangible asset and simultaneously benefit from the price appreciation of precious metals. "The market is being driven by the growing fear in the financial community that just like Greece, other nations might end up revealing huge budget deficits. GoldMoney therefore expects that the uptrend in gold has further to go. We expect to see customer assets grow as the price continues to rise. More and more people will turn to GoldMoney to protect their wealth." GoldMoney is the leading provider for the online sale and storage of physical gold, silver and platinum to retail buyers. One can invest in gold online with relatively little cost. At Gold Money you can buy gold, silver and or platinum in any quantity and have it stored for you in banks in Switzerland or London on your behalf. All is fully insured and secured and you do owned the amount of precious metal you have bought. An indicator of the value and faith people are placing in gold in this global financial time is the number of vaults now being built and opened around the world. Investors and mums and dads are piling money into gold in record levels. Old vaults that were closed, such as the JPMorgan Vault in New York that was closed in the 90s, is now being reopened to accommodate the influx of gold bullion. With gold climbing to record heights, investors are turning to physical gold bullion instead of the flimsy metals futures or even mining equities. Private investors now hold around 30 thousand tonnes of solid gold according to the consultancy GFMS. This, for the first time in history, is more gold bullion than the central banks hold. Other banks such as the HSBC, Deutsche Bank, Barclays and Bank of Nova Scotia, for example, are also opening old vaults to accommodate the influx of gold. According to Peter Smith, head of JPMorgan's vaulting service, "There is growing interest from ETFs and other fund institutions as well as from corporates and high-net-worth individuals to store precious metals." Many of the old historic vaults cannot be reopened as they have been converted into restaurants such as the New York vault built in 1902 for John Pierpont Morgan which is now home to a steak house. Now Gold has Hit the 1300 Mark - Where to Now? Now that gold has hit the 1300 US dollars an ounce mark, where to now? Will it continue its rise or has it done its dash? Most gold bugs, and even non gold must have been forced to admit that gold is by no means yesterdays child. Asian banks buyers and dealers are snapping up gold even with the higher price. Do they expect it to rise even further? Or perhaps it is the drop in faith in the dollar. "The probability that the Federal Reserve may implement a second round of quantitative easing keeps boosting gold," said C.H. Oh, head of overseas futures at Seoul-based NH Investment & Futures. "We think there are good chances gold prices will rise further in U.S. dollar terms," Tobias Merath, head of commodities research at Credit Suisse Group AG, wrote in a report dated recently. "The U.S. dollar is weakening and there's talk about a potential second round of quantitative easing in the U.S."
"The underlying bullish trend in the gold market continues to be fuelled by the high level of uncertainty regarding the United States and European economies," said SEB Commodity Research analyst Filip Petersson. "Wealth preservation are the keywords.As long as we do not see a reduction in the uncertainty regarding the long-term economic outlook, gold prices will remain well-supported as the currency of choice for risk-averse investors." he added. Evidently an uncertain financial future is continuing to fuel demand for more gold and as this happens, the stock of gold available will decrease and the value, compared to the ailing dollar, will continue to increase. It seems that gold is set to continue its trend and may possibly reach 1500 before the financial year is out. GoldMoney, one of the world's largest providers and holders of physical bullion for retail investors, now stores more than US$1 billion of assets on behalf of its customers. The company has achieved a growth of 112% over less than 18 months based on US $476 million of customer assets at the beginning of 2009, thanks to particularly strong demand for physical gold. Geoff Turk, CEO of GoldMoney, said: "Investors are now more than ever looking for a safe haven for their money. As gold has, on average, registered a yearly appreciation of approximately 17% over the past nine years, many investors have chosen to safeguard their portfolio by owning a tangible asset and simultaneously benefit from the price appreciation of precious metals." "There appear to be many gaps in audit work already done. The remaining issues that stand are that past audit work was not thorough or of a strict enough standard to ensure against possible misstatement. In short, independent auditors are often not directly involved in the physical audits and rather are admittedly working off of numbers provided to them by a potentially biased party. Furthermore, there have been no thorough and complete checks on whether the Treasury's use of their gold stock complies with current legislation, in particular the Gold Reserve Act. In addition, a lack of matching between Federal Reserve and Treasury financial statements calls into question some possibly obvious and odd errors. Moreover, there still lacks any audit on the Treasury's gold held at the Federal Reserve Bank of New York or the working stock of gold. Lastly, the issue of encumbrances remains as a major possibility of abuse of the Treasury's gold stock and will be difficult to settle without an extensive audit of all historical government financial dealings." A new gold currency, the Swiss Gold Franc could be on the cards sometime soon. The Swiss Parliament is discussing the virtues of setting up a Swiss Gold franc which anyone could use. It is envisioned that the new gold francs, with a gold content of 0.1 grams, could be purchased for around 5 francs (at current prices). According to Jacob the proposal is very simple: Switzerland could create a new, additional currency out of gold - the Swiss Gold Franc. A currency like this would enable savers in Switzerland and in the whole world to easily and cheaply obtain gold. He writes that throughout human history, in all regions, in all countries, in all cultures, in myths, legends, and fairy tales, gold has stood apart. Its ownership stands for prosperity, freedom, security, and protection against capricious rulers and tyrants. Today, the monetary system of developed countries is disturbed and in danger, while tyrants and dictators continue to ravage the world. Gold could give back to people a lot of security and freedom. Yet trade in gold is limited to a few people who trade in decorative coins, gold bars, and gold certificates. Adding to this is the danger that trade in gold could at any time be hindered through regulation, or even completely prohibited. He states, it should also make clear how the Gold Franc could create more security, protection, and freedom for money-savers worldwide. The Gold Franc could give rise to nothing less than a revolution in the trade of gold. The new possibilities for use will bring about additional demand for gold, thus raising and stabilizing the gold price. An overview of the effects and advantages of the Gold Franc is available in the "Schweierzeit" [Swiss Times] publication number 8, from the 21st of April this year. "The Constitution should be expanded as follows: The Swiss government creates an official Gold Franc composed of coins with a fixed gold content. It regulates licensing for the creation of this tax-free instrument by qualified institutions." As a practical example, let us consider that the Gold Franc coins were required to have 0.1 grams of gold per Gold Franc in face value. A one franc coin would therefore contain 0.1 grams of gold, a five franc coin 0.5 grams, and a 500 franc coin correspondingly 50 grams. Since it is impossible to mint a coin using 0.1 grams of gold alone, a second metal would be used. The center of the coin would consist of the desired quantity of gold. A ring around it of "normal" coin-metal would give the coin a practical size. The Euro provides a good example of such a bimetallic coin. The front side of the coin would have a uniform impression, making the coin easily recognizable as a Swiss Gold Franc. Any honest Swiss company would be permitted to mint these coins, so long as they contain the proper amount of gold and are minted according to the government standard. On the back of each coin, the companies will be allowed to mint their company logos. This is anticipated to sharply lower the sales prices of the coins, so that the price of a Gold franc will quickly approach the market price of gold. What will change? The first change will be unproblematic and convenient trade. Today's gold trading consists of decorative coins in the exotic unit of mass Troy Ounces, of gold bars, and of gold certificates. 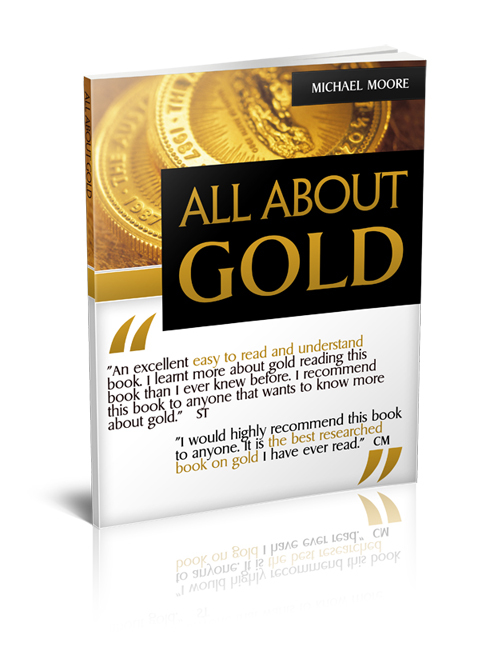 For the average consumer, purchasing gold requires some knowledge of the subject, in addition to sales advice. In contrast, the Gold Franc is defined in grams, is self-explanatory, cheap, and uniform. It requires no sales advice - rather, it is easily understood and just as available as any foreign currency of today - at every exchange booth and even at ATMs. The second difference is the practical denomination. Only after dividing gold into practically-usable quantities can it be usable once again in daily life. Today, the buyer of the smallest gold coin available must pay around 100 francs [US$118] and receives for this a coin containing 2 grams of gold. A Swiss Gold Franc coin would be worth, at the current gold price, around 4 francs. In a later phase, it is not unthinkable to introduce banknotes and centime-coins [based on the Swiss Gold Franc], naturally 100% backed up by and exchangeable for gold. This cheap [production] price of the Gold Franc and the various practical denominations open up tremendous new possibilities. Gold will once again become appropriate as a small or a large gift, and as a way to save [money], even for people in poor regions of the world. If, for example, the Chinese government were today to encourage its people to buy gold, they would do it in the form of collector's coins and gold certificates. The Swiss Gold Franc would present the easiest and best opportunity to these people for buying gold, with corresponding prestige both for Switzerland as well as for the Swiss companies who would have minted their logos on the backside of the coins. Gold Francs would presumably be used among a community of gold fans in Switzerland, as well as in regions of the world with very serious currency problems. Hyperinflation implies the destruction of a currency, and with it, the wiping out of savings and fixed incomes. Hyperinflations often come with absolutely devastating consequences, and one can well imagine that people in, for example, Zimbabwe, might be receptive after their experience to a system of independent, commodity-based money. The third difference lies in psychology and protection of legal rights. Only this allows new financial products such as insurance policies, pensions, and annuities. The problem of long-term financial contracts is well known to current financial advisers. If today, for example, a young person wanted to create a savings contract with a final payout of a half million francs, forty years in the future, there would be a worry that the half million francs at the time of payout would only retain a fraction of its equivalent purchasing power today. Even the Swiss franc has lost value in the last hundred years, over 90%, and the predictions give much to worry about. Gold has seen its value over the same time not just be retained, but actually increased. Tax claims of over than $300 million from Revenu Quebec has forced Kitco into Crreditor protection. The Montreal-based gold trader, Kitco Metals Inc. is now officially in creditor protection, until July the 27th. The application was granted by Superior Court Judge Mark Schrager and RSM Richter, its monitor. This means Kitco will not have to undergo any legal proceedings until after it has submitted an offer to its creditors, the biggest being Revenu Quebec, which claims outstanding assessments against Kitco of $227 million and $85 million respectively. Kitco, is contesting the tax assessments from Revenu Quebec and is allowed to continue its busienss for the time being under the ruling. The tax department claim that a billing scheme in Quebec's gold market had snowballed into a fraud of over $100 million yet Kitco denies doing anything illegal. For far too long the United States government has been less than transparent in releasing information relating to its gold holdings. Not surprisingly, this secrecy has given rise to a number of theories about the gold at Fort Knox and other depositories. Some people speculate that the gold has been involved in gold swaps with foreign governments or bullion banks. Others believe that the gold has secretly been shipped out of Fort Knox and sold. 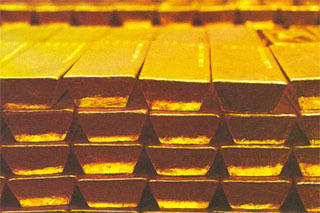 And still others believe that the bars at Fort Knox are actually gold-plated tungsten. Historically, the Treasury and Mint have dismissed these theories, rather than addressing these concerns with substantive rebuttals. No one from Congress has been allowed to view the gold at Fort Knox in nearly 40 years, recent photographs of the gold holdings seem to be hard to come by, and the Mint's and inspector general's audit statements contain only the bare minimum of information. Because the government has for so long refused to provide substantive information on its gold holdings, it is not surprising that so much confusion abounds, both within and without the government. The difference between custody and ownership, questions about responsibility for U.S. gold held at the New York Fed, and the issue of which division at Treasury is ultimately responsible for the gold reserves are just some of the questions that have come up during the research for this hearing. In a way, it seems as though someone decided to lock up the gold, put the key in a desk somewhere, and walk off without telling anyone anything. Only during the preparation for this hearing was my office informed that the Mint has in fact conducted assays of statistically representative samples of gold bars, and we were provided with a sample assay report. This type of information should be reported or at least tabulated and published, so that the public knows how many bars of gold exist, what their fineness is, and whether they are encumbered in any way through loans, swaps, etc. While the various agencies concerned have been very accommodating to my staff in attempting to shed some light on this issue, it should not require the introduction of legislation or a congressional hearing to gain access to this information. This information should be published and available to the American people. This gold belongs to the people, especially since much of it was forcibly taken from them in the 1930s, and the government owes it to the people to provide them with the details of these holdings. We would greatly benefit from a full, accurate inventory, audit, and assay, with detailed explanations of who owns the gold and who is responsible for ownership, custody, and auditing. While the Mint and the inspector general trust the accuracy of the audits performed between 1975 and 1986, this still means that at least two-thirds of the gold reserves were last audited over a quarter century ago. Surely a full audit every 25 years is not too much to ask. I look forward to the testimony of the witnesses regarding the condition of the gold reserves, the accounting audits that are regularly performed, and the inventories and assays that have been conducted on some of this gold over the years. I am also very interested to hear their comments on the Gold Reserve Transparency Act so that we may put forward a measure that provides the public with accurate and complete information on their gold. According to a GATA (Gold Anti-Trust Committee) representative who attended the hearing today. "The inspector general of the U.S. Treasury Department today testified to a House subcommittee hearing on the U.S. gold reserve that he has been "told" that "not one troy ounce is encumbered," but under questioning he could not say where the gold pledged by the United States to the International Monetary Fund resides or how it has been accounted for, if at all. The hearing was held in Washington by the House Subcommittee on Domestic Monetary Policy and Technology on legislation proposed by the committee's chairman, U.S. Rep. Ron Paul, R-Texas, to audit the U.S. gold reserve. (See http://www.opencongress.org/bill/112-h1495/text.) Paul opened the hearing with an excellent statement about the secrecy that long has enveloped the U.S. gold reserve, the speculation that U.S. gold has been swapped with foreign central banks or sold, and the inability to arrange a congressional inspection of the gold reserve at Fort Knox, Kentucky. Paul particularly distinguished between ownership of gold reserves and mere custody of them. He complained that the Treasury Department had not released certain information about the gold reserve until his legislation to audit it was filed. The Treasury Department's inspector general, Eric M. Thorson, replied that Treasury audits the gold regularly, and he denounced those who raise doubts about the reserve. Rep. Blaine Luetkemeyer, R-Missouri, noted that the audit documentation submitted to the committee by the Treasury mentioned nothing about encumbrances of the gold reserve, and Thorson replied, "I'm not aware of anything." But Thorson backed off when Luetkemeyer followed up by asking about the U.S. gold pledged to the IMF and when Paul asked if the IMF's supposed gold is being counted twice, once on the IMF's own books and again on the books of the United States and other IMF member nations. Thorson replied weakly to Paul, "We do not audit the IMF." Luetkemeyer wouldn't let go. Is the U.S. gold contribution to the IMF, he asked Thorson, counted in the U.S. gold reserve? If it is, Luetkemeyer added, audits of the U.S. gold reserve should record the gold as encumbered. Thorson replied, "We've been assured that none of it is encumbered." But he added that he would have to research the question before providing a definitive answer. Much of today's hearing dealt tediously with procedures for assaying and tallying gold bars, which would seem relevant to the question of surreptitious market manipulation only if gold bars in the U.S. reserve have been replaced with tungsten or other base-metal bars coated with gold -- not that a government that establishes an agency precisely to rig markets surreptitously should be given a pass on even the wildest questions. While the Treasury's having given the Federal Reserve certificates for the gold that was taken from the Fed to the Treasury in 1933 has always seemed to have little meaning, both Thorson and the hearing's other witness, Gary T. Engel, director of financial management and assurance for the U.S. Government Accountability Office, testified that the Fed could never use the certificates to reclaim the gold. They said that any presentation by the Fed of the gold certificates to the Treasury would result only in the Treasury's paying the Fed in dollars at the statutory rate of $42.22 per ounce. Rep. Carolyn B. Maloney, D-New York, whose work on the committee consists largely of making excuses for the Obama administration and the status quo, made a pompous idiot of herself, arriving in the middle of the hearing and asking the witnesses if they didn't think that Paul's gold reserve audit legislation would duplicate the audits already being done and cost a lot of money. The witnesses had said so in their opening statements and in responses to earlier questions from committee members who arrived on time. It's not clear where, if anywhere, Paul will take the issue of potential encumbrances on the U.S. gold reserve. But since the most relevant testimony on the issue today was only hearsay, not authoritative, all questions remain open. As Rep. Ron Paul is continuing his campaign to force the U.S. Treasury Department to audit the nation's gold reserves, with the House Subcommittee to review U.S. gold reserves audit bill. A hearing is now scheduled on Domestic Monetary Policy and Technology on Paul's bill demanding an audit of all gold in the United States. 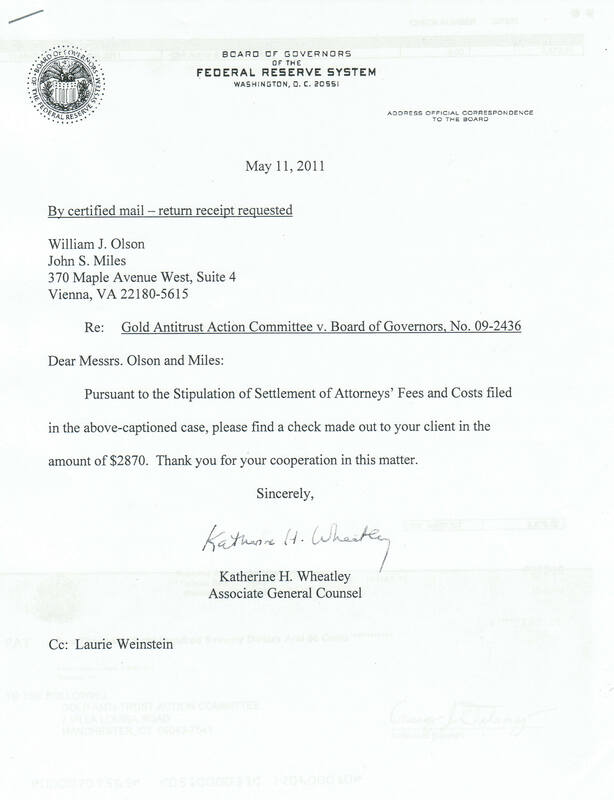 The Gold Reserve Transparency Act of 2011 or H.R. 1495, the manifestation of Paul's long quest to force the U.S. Department of the Treasury to prove there is real gold bullion in the vault at Fort Knox in Kentucky may yet prove to publicly expose just how much gold there is, indeed, in Fort Knox. Annual reviews of the facility are conducted by the Office of the Inspector General of the Treasury but no one has actually ever counted the number of 27-pound gold bars held in the U.S. Bullion Depository. In an interview with Kitco News last year, Paul stated, "Our Federal Reserve admits to nothing, and they should prove all the gold is there. There is a reason to be suspicious and even if you are not suspicious why wouldn't you have an audit?" Paul's bill would not just request an independent audit of the 5,000-plus tonnes of gold bullion stored in Fort Knox. It would also include an audit of the U.S. gold reserves held in Denver, West Point, and the New York Federal Reserve Bank in lower Manhattan. The Treasury Department estimates the cost of the audit to be 15 million dollars. According to Dorothy Kosich of Mineweb, "The congressman wants some of the bullion to be assayed and tested by an independent laboratory to prove that the bars are investment grade gold bullion." "Eric M. Thorson, inspector general of the Department of Treasury, is one of two witnesses scheduled to testify at the subcommittee hearing Thursday. Thorson is the first outsider to be granted full access to the U.S. Bullion Depository in 37 years, Bloomberg recently reported. 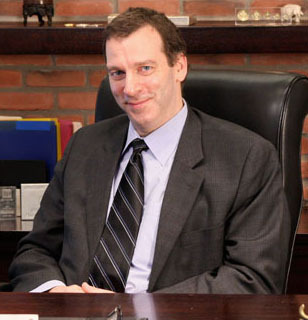 He is responsible for keeping track of the U.S. Mint's deep storage gold and silver reserves." "Thorson has insisted that the gold reserves exist in the amount reported and the controls over the bullion guarantee its security." The hearing will be held on Thursday this week. The People's Bank of China (PBOC) has just announced it will be issuing even more gold and silver commemorative coins to meet the ever uincreasing demand for precious metals in China. According to the PBOC, The maximum circulation of the one-ounce gold coins with a face value of 500 yuan (77.3 U.S. dollars) will be raised to 500,000 from 300,000 previously set at the end of last year. The maximum circulation of four other gold coins with different gold purity and face values ranging from 20 yuan to 200 yuan will increase to 600,000 each set from the previous 200,000. Also, the maximum issuance of one-ounce silver coins with a face value of 10 yuan each will double to 6 million from the previous 3 million, according to PBOC. Chinese investors have rushed to buy precious metals this year to hedge against rising inflation, where the Consumer Price Index (CPI), a main gauge of inflation, shot up to 5.5 percent year-on-year in May. The CPI rose 5 percent in the first quarter and 5.3 percent in April. The benchmark interest rate of one-year deposits stood at 3.25 percent after the central bank raised the interest rate twice this year to curb inflation. In contrast, the price of gold has so far risen by about 9.4 percent from the end of last year, making precious metals more attractive to investors. Kitco, the Montréal based retailers of precious metals and a leading supplier of refining services has incurred the wrath of the Quebec Government Taxation Office, Revenue Quebec who claims Kitco is involved in a massive tax fraud scheme. Kitco, founded in 1977 by Bart Kitner, and one of the largest retailers of precious metals in the world, with over 200 employees and offices in Canada, the U.S., Hong Kong and Shanghai, is the owner of the world famous Kitco.com website known the world over. Revenue Quebec says the tax scam, which included false invoices and refund requests for taxes that were never paid, involved more than 100 companies and cost the province upwards of $150 million. Kitco has called Revenue Quebec's claims "unfounded" and claimed it has done nothing illegal. It has, however, been negotiating with the tax department for several months over past assessments. Despite these ongoing negotiations, 70 search warrants were issued in Montréal, Westmount Mont-Royal, Laval, Pointe-Claire, Rosemére, Brossard, Dorval et Saint-Bernard-de-Lacolle, with than 175 investigators from Revenue Quebec used to execute the warrants in places of business, residences, offices of accounting firms, and receivers. Sharlene Dozois, marketing director for Kitco stated that since there were negotiations, "Them coming on-site (last week) was a complete shock and surprise to us." Revenue Quebec considers it has reasonable grounds to believe that besides Kitco Inc. and Carmen International Inc., more than 125 other companies were complicit in the scheme. The allegations of tax fraud arise over what is called the Gold Sector scheme. What is the gold sector scheme? The scheme uses several companies that generate artificial transactions for the sole purpose of creating tax credits on inputs. The scheme essentially consists in the transformation of pure gold into gold scrap, which can then be sent to a refiner and transformed anew into pure gold. The cycle can then be repeated. How is it possible to demand tax credits on the inputs by using pure gold? Participants in the scheme claimed tax refunds under The Quebec Sales Tax Act. Obviously, this particular scheme was based on the fact that pure gold, being a form of currency like ordinary bills or coins, is in an untaxable form. However, by transforming the gold into scrap, it is rendered taxable, which permits a buyer to claim tax refunds on the inputs. As the seller of the scrap does not submit retail sales tax to Revenue Quebec, the tax authority finds itself refunding taxes that it had never received. According to Revenue Quebec the scheme is based on artificial transactions. There was no legitimate commercial activity. The sole purpose of the transactions is to create eligibility for tax refunds on the inputs. Now Kitco Metals Inc., has served notice it intends to make a proposal to its creditors - the largest of which is Revenue Quebec and a filing to that effect with the Office of the Superintendent of Bankruptcy Canada is dated June 8 - the day after police and tax investigators conducted the searches and seizures RSM Richter is the trustee assigned to the case. Clearly this is designed to head off the impending doom. Sharlene Dozois, marketing director for Kitco, said the filing was done "to protect ourselves and our clients" and "give us time to negotiate with creditors." "It's the process you need to go through," she said, adding that the company has resumed normal operations. Dozois wouldn't specify how much Revenue Quebec is seeking from Kitco ($188 million, according to a report in La Presse). Revenue Quebec claims the tax scam, including false invoices and refund requests for taxes that were never paid, involves over 100 companies and has cost the province upwards of $150 million. In a recent press release Kitco stated, "KITCO CATEGORICALLY DENIES ALL OF REVENU QUÉBEC'S ALLEGATIONS Montreal, June 9, 2011 Contrary to Revenu Québec's allegations in a press release published today, Kitco Metals Inc. (Kitco) has never participated in any tax fraud, nor has it ever carried out any fictitious transactions. In all respects, Kitco vigorously contests all aspects of Revenu Québec's investigation. Mindful of protecting its irreproachable reputation, Kitco has mandated attorneys, of the law firm of Gowling Lafleur Henderson, to evaluate all available recourses with regards to the allegations of Revenu Québec." Kitco also explained, "Kitco buys precious metals scrap and pays the suppliers sales taxes on these purchases for which Kitco receives a tax credit. It is the responsibility of these suppliers to pay back the sales taxes to Revenu Québec. Revenu Québec alleges that some of these suppliers have not remitted the taxes paid to them. Revenu Québec is unjustly holding Kitco responsible for the unremitted taxes, which led to the issuance of the tax assessments. Kitco is vigorously opposing these tax assessments. Kitco has respected all applicable laws and by-laws since the founding of the company over 30 years ago." The company said it has asked Superior Court of Québec to appoint an interim receiver so that it may continue normal operations under the supervision of the accounting firm RSM Richter. The action was taken "to allow for the time required to vigorously contest Revenu Québec's unfounded claims." We will be interested to see if Kitco gets the receivership they have requested, and how this affects the settlements, if any, of their unallocated pools of gold and silver. Fed Lawyer Alvarez: "The Federal Reserve Does NOT Own Any Gold at All"
At yesterdays monetary policy hearing in the house of representatives, an extraordinary exchange between Federal Reserve lawyer Scott Alvarez and committee chairman Dr. Ron Paul, exposed the Fed's general counsel declaration that the Federal Reserve owns no gold. Scott Alvarez: "The Federal Reserve does not own any gold at all ... we have not owned gold since 1934, um, so we have not engaged in any gold swap. Before 1934 the Federal Reserve did, we did own gold. We turned that over by law to the Treasury and received in return for that gold certificates." Ron Paul: " ...You have the securities for essentially all the gold?" Scott Alvarez: "No. No we have no interest in the gold that is owned by the Treasury. We have simply an accounting document that is called gold certificates that represents the value at a statutory rate that we gave to the Treasury in 1934"
"under the Gold Reserve Act of 1934 the Treasury seized the Fed's gold, taking full ownership and claim to its proceeds. The Treasury as an aside transferred a sum of special 1934 series gold certificates to the Fed amounting to the statutory value of gold ($20.67 per ounce) times the quantity of gold transfered from the Fed to the Treasury. The official gold price was later revalued to $35 an ounce, an effective devaluation of the currency, but the quantity of gold certificates issued to the Fed was not amended to reflect revaluation until the passing of the Par Value Modification Act of 1972. Under this act, gold was revalued again, this time to $38 an oz, and the Fed's gold certificate account was credited upwards by $822 million worth of certificates to reflect the change in the gold price from $35 to $38. The gold was revalued one last time in 1973 to $42.22 and again the Federal Reserve was credited with more gold certificates, $1.157 billion to be exact, to account for this. After all of this, the Federal Reserve was left with $11.16 billion dollars worth of gold certificates. "Gold totalling $11.1 billion as of September 30, 2010, and 2009, was pledged as collateral for gold certificates issued and authorized to the FRBs by the Secretary of the Treasury." "Given that the Fed has an indirect claim to the Treasury's gold, it is questionable what line of reasoning the Fed's general counsel was using when stating so broadly that the Fed has "no interest in the gold that is owned by the treasury". This raises the following points. The ideathat the Fed owns gold is false. The Fed does not in fact own US gold stock multiplied by the market price of gold. In fact it owns NO gold at all. The Fed does apparently own a claim to currency totaling $11.1 billion and this value could go up significantly if the Treasury decides to revalue it's gold, maintaining the practice initiated in the Par Value Modification Act. The fact that the Fed owns no gold, nor claims to any gold, means the fundamental value of the dollar lacks any backing besides dollars themselves. Dollars are in essence worth a lot less than many people thought, and the Fed is much more impotent in using the prowess of their assets than many believed. The dollar, in short, is backed by nothing more than confidence eroding at a rapid pace. At a subcommittee hearing Wednesday, Paul asked Fed General Counsel Scott G. Alvarez flat-out whether the Fed had engaged in any gold swaps. Alvarez denied the Fed's involvement in gold swaps but did so in a deceptive way, by pushing responsibility for the U.S. gold reserve to the U.S. Treasury Department. "The Federal Reserve does not own any gold at all," Alvarez said, adding that all the Fed's gold was transferred to the Treasury Department in 1934. Pressed by Paul, Alvarez also said that he, and presumably the Fed generally, have no position on whether the United States should sell its gold reserves. -- And former Fed Governor Lyle Gramley's comment to Business News Network in Canada in December 2008 that, far from some antique accounting gimmickry, those gold certificates are actually hugely undervalued assets for the Fed and their repricing at market levels would much improve the Fed's balance sheet. (See http://www.gata.org/node/6989.) In his questioning of Alvarez, Paul recognized that the most direct culprit in gold swaps may be the Treasury Department's Exchange Stabilization Fund. Maybe that's where the congressman will direct more questions. "I'd sort of like to see how much gold is actually there and whether we've made any agreements to loan out our gold or sell the gold, because there's a lot of questions about that. As a matter of fact, I'm going to have hearings on having a true audit of the gold, and they're very, very resistant to that. But if the gold is all there and there are no attachments to the gold, what's the big deal? Why shouldn't the people know that it's there?" He said. Utah has just become the first state in the USA to legalize gold and silver coins as currency. In a move that undermines the Federal Reserve's monetary policy, the new law allows Utah's citizens to store their gold and silver in a vault and use a "debit-like card" to conduct financial transactions. Since businesses will not be required to accept coins either at face or market value, going through a vault would be way the only way to take advantage of the new law. The Utah Gold and Silver Depository will be the first such vault in the country, and will open on June 1st. "Because we're dealing with something so forward thinking, I expect a wait-and-see attitude," Depository owner Craig Franco told the AP. "Once the depository is executed and transactions can occur, then I think people will move into the marketplace." Many will sit up and take notice of the fact that the bill also exempts gold and silver from capital gains tax. "We view this as a dollar-friendly measure," Larry Hilton, an attorney who helped draft the law, told the AP. "It will strengthen the dollar by refocusing policy matters in Washington on what led to the phrase, `the dollar is as good as gold.'" Gold stabilised now over $1500 an Ounce. Gold has hit that magical number of 1500 dollars an ounce. It broke a new record yesterday in the asian markets first and was quickly followed y the european and US markets. Now trading over 1500 it is set to move to the 1600 dollar mark as the US dollar flays around like a unattended turned on water hose in the wind. According to measuringworth.com, the U.S. dollar has lost a massive 91.6% of its value between the end of World War II in 1945 and 2009.This means that to have the same $1,000 worth of purchasing power in 1945 then required $11,900 in 2009. The buying power of gold, however has remained constant since aincient Roman times. A poor indication of the financial acumen of the US government and Federal Reserve. Was the value of the US dollar dropped through malice a forethought or just plain stupidity I wonder? Whatever the reason, gold has remained a constant throughout and will continue to do so. since it is not the actual value of gold going up, just that it takes more and more dollars to buy gold than ever. No wonder more and more state governments, universitys and private investors are putting their funds in gold. The Utah House Government Operations Committee recently passed a bill recognizing U.S. gold and silver coins as legal tender exempting their sale from the state capital gains tax. The bill, HB317, introduced by Rep. Brad Galvez, R-West Haven, is a first step to creating an "inflation-proof" alternative to "paper currency" say supporters. Larry Hilton, a local attorney and supporter of the "sound money movement," said that "un-backed money" created by the Federal Reserve to stimulate the economy, is "hanging over us like the sword of Damocles waiting to just come down in an avalanche and destroy the value of our currency." While the bill says the use of gold and silver coin as currency would be voluntary, it requires the Legislature to study the "possibility of establishing an alternative form of legal tender," and to come up with further recommendations for the 2012 session. Jeffrey Bell, the policy director for the Washington, D.C.-based American Principles Project, told legislators the bill would be seen as a "symbolic act." But it also sends a signal, he said, to Washington "political elites who want to leave the value and staying power of our currency uncertain, indefinite, so that they can at will intervene to do what they think would ameliorate the situation" facing the U.S. economy. "The last time we had the system that we are recommending - the international gold standard - it set a record for least inflation," Bell added. The bill passed 7-1 and will go on to the full House for debate. The lone dissenter, Rep. Rebecca Chavez-Houck, D-Salt Lake City, said her only reservation was the bill's potential effect on tax revenues. She said, "I hesitate to implement some of the tax code changes in advance of a study." 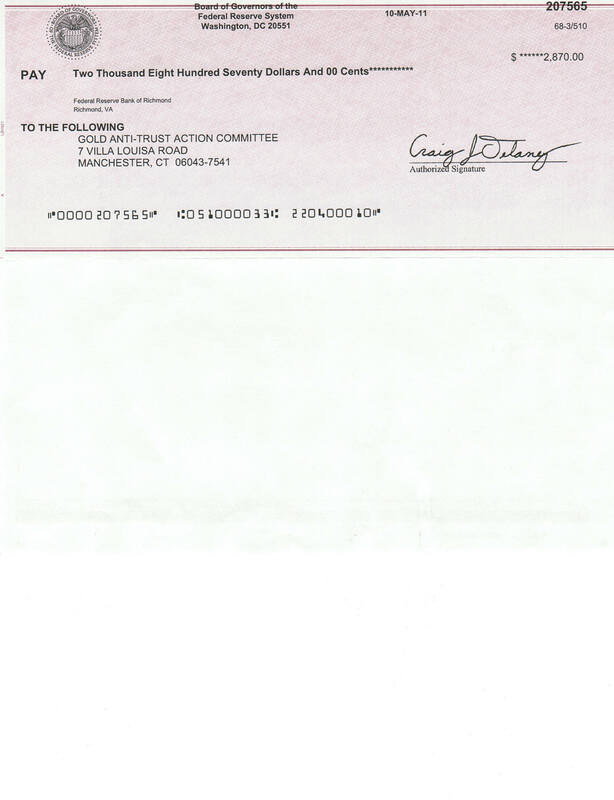 The bill's fiscal note predicts a loss in tax revenue of over $260,000 in 2012 and over $600,000 in 2013. But Galvez said that is based on an assumption that the sale of such coins currently accounts for 0.5 percent of capital gains tax revenue. Who will be the next state to follow suit we wonder? Jewelers at shopping malls across the capital are witnessing a gold rush as residents spooked by inflation fears look to protect their money. Statistics from Beijing Caibai, the city's largest jewelry store, show sales of gold and other jewelry have totaled about 4 billion yuan so far this year, a 70-percent increase year-on-year. Wang Chunli, general manager, told METRO that hundreds of customers are lining up outside every day to buy gold accessories, such as necklaces and rings. To cope with demand, the store has even introduced a string-weave service, she said, adding: "We've also arranged experienced staff to be on duty and increased the number of security guards." After seeing the enthusiasm for gold investment, insiders predict prices will continue to rise this year. Zhou Xiangrui, deputy general manager of Guo Hua, an established gold and jewelry store, even suggested that the surging demand could set a new record, saying: "The price is estimated to increase by 10 percent this year." The price has already reached 338 yuan a gram at Caibai and 375 yuan a gram at Beijing branches of Chow Tai Fook and Chow Tai Seng, according to data from cngold.org, a popular gold investment website. Concern over the volatile conditions in the Middle East and the debt crises in Europe could also impact gold prices, said Ji Zhiguo, an analyst the Beijing Gold Trade Center. "This year we might see some investors purchasing more than 10 kilograms of gold bars again," he said. "A booming gold market coupled with a stable price increase could prompt more individuals to rush in and invest." Gold sales in large shopping malls citywide increased by at least 40 percent year-on-year during the first two months of 2011, Legal Mirror reported. According to China Central Television, about 40 investors are rushing to purchase gold bars every day at the Wang Feng shopping mall in the Xinjiekou area, with most snapping up several kilograms at a time. 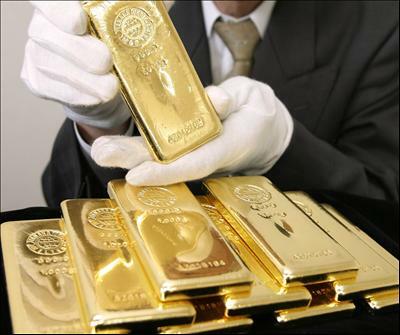 Wang Qiming, 34, who lives in Haidian district, said he has purchased both gold bars in malls and paper gold online. "The capital has limits on house and car purchases, and it might be hard to preserve the value of my assets if I save cash in a bank account. So, I've started to focus on gold investment," he said, explaining that he plans to spend 300,000 yuan on 100 grams of gold bars. "Stock markets change very fast and are not stable," said Wang. "Gold investment seems much safer." A report released by the World Gold Council at the end of 2010 said China is the strongest market for gold investment and gold accessory purchase. According to the minutes, the U.S. delegate cited above -- apparently Richard W. Fisher, lately president of the Federal Reserve Bank of Dallas -- also warned that central bank gold sales and leasing might be construed as positive for gold. The minutes say: "First, he noted that some market cynics viewed central bank activity as a contrary indicator and therefore one had to be conscious of possible feedback effects. Second, he noted that the price of gold, unlike other commodities, had historically not trended toward the cost of production. This seemed to suggest an ongoing supply/demand imbalance. Third, he had the sense that the gold leasing market was an important component in this puzzle, though he did not understand enough about that market, particularly the credit risk aspects of gold lending." The demand for gold and silver in China is growing at an explosive rate according to the Industrial and Commercial Bank of China (ICBC) executive. "We are seeing explosive demand for gold. As Chinese get wealthy, they look to diversify their investments and gold stands out as a good hedge against inflation," Zhou told Reuters. Gold imports into China also soared in 2010, turning the country, already the largest bullion miner, into a major overseas buyer for the first time. The surge puts the country on track to overtake India as the world's top gold consumer and a significant force in global gold prices. Gold prices jumped 30 percent in 2010 and struck an all-time high of $1430.95. Spot silver surged 83 percent last year and is currently hovering at around $30 per ounce. Zhou said China's gold demand could grow at a stronger pace this year compared with 2010, as a choppy stock market and moves by Beijing to rein in property speculation and purchases means more investors will pile their cash in bullion investments. "Unlike the property market, investment in the gold sector is something the government is encouraging," he said. Beijing has encouraged retail consumption and announced last August measures to promote and regulate the local gold market, including expanding the number of banks allowed to import bullion. "China has a centuries-long cultural attraction to gold and because we have started at such a low base, I think demand growth will likely stay strong for quite some time," he said. Zhou said there was also voracious demand for silver, with the bank selling about 13 tonnes of physical silver in January alone, compared with 33 tonnes in the whole of 2010. The scale of China's gold demand, which has increased on average at a double-digit clip over the past decade, has caught the market by surprise. Data showed China imported 209 tonnes of gold the first 10 months of last year, versus 333 tonnes by India for the whole year. The bank on Tuesday launched its second physical gold investment product, which sells gold bars to investors, which can be resold for cash through ICBC based on real-time gold prices. The WGC said ICBC's introduction of this gold investment could lift China's gold retail investment by 10 to 15 percent in 2011 from about 170 tonnes last year. SPDR Gold Trust, the world's largest gold-backed exchange-traded fund stated yesterday that its gold holdings have fallen to an all time low in nine month of 1,224.008 tonnes by Feb 15. The holdings hit a record at 1,320.436 tonnes on June 29. The world's first Fairtrade and Fairmined gold will go on sale on 14 February in a groundbreaking effort to secure a fair deal for gold miners and their communities. World's oldest jeweller Garrard, luxury bespoke jeweller Harriet Kelsall and pioneer ethical jeweller CRED are among the first 20 companies to launch the world's first Fairtrade and Fairmined gold. As the price for the precious metal surges on world markets, hundreds of thousands of workers are lured to seek their fortune in one of the world's most dangerous industries. Sadly, because of their vulnerable position in the supply chain it is not the miners who benefit most from this '21st century goldrush'. Many of the estimated 15 million people working in the artisanal and small-scale mining (ASM) sector risk disease, serious injury and death. ASM miners are also often taken advantage of by unscrupulous middle men. Full details of the conditions faced by ASM miners are revealed in a new report by the Fairtrade Foundation and the Alliance for Responsible Mining (ARM) published to coincide with the launch of Fairtrade and Fairmined gold on Valentine's Day. The International Labour Organisation states there are over six times the number of accidents in ASM compared with large scale mining, mainly due to larger labour force and poorer working conditions. Furthermore there are severe risks to health caused by daily contact with toxic chemicals used to process gold, such as mercury, cyanide and nitric acid. Exposure to mercury vapours and ingestion of contaminated food leads to brain and nervous system damage, vomiting, gastroenteritis, kidney complaints and muscular tremors. Jorge Perea, community leader of Oro Verde in Condoto, Colombia said: 'We consider Fairtrade and Fairmined certification meets the needs of miners seeking to improve their quality of life and strengthen our identity as an ethnic group, which was the aim of this worldwide process inspired by Oro Verde. Thanks to the hard work of ARM to gather the efforts of the mining communities in Latin America and the alliance with the Fairtrade system, we celebrate the launch of a label that makes our common dream come true. The golden doors of fairness are now open for all the small miners in the world'. Being part of the Fairtrade and Fairmined system means miners will adhere to a set of standards, guaranteeing that gold is produced in a way that is safe for people and the environment. In return, miners will receive a set minimum Fairtrade price for their gold, plus the Fairtrade premium to invest in community and business development projects. They will also establish long-term business relationships with their commercial partners. Plans include improving the technology and working conditions in the mines and setting up community projects in education, health, and environmental restoration. The Cotapata Mining Co-operative in Bolivia is the first Fairtrade and Fairmined conventional mining organisation to be certified, and Condoto was the first group certified to produce ecological gold, with more expected to be certified in the coming weeks and months. If just 5% of the gold used in the UK jewellery market is Fairtrade and Fairmined certified, this could transform opportunities for miners. The Chinese state news service has stated that the country's gold production hit a new record last year with over 340 tons produced. That's over eight percent on the previous year. The Chinese state news service has stated that the country's gold production hit a new record last year with over 340 tons produced. That's over eight percent on the previous year. China is now the world's top gold producer after overtaking South Africa in 2007. The state-run Xinhua News Agency on Sunday cited the China Gold Association as saying last year's output was 340.88 tons, an increase of more than 26 tons from the previous year. The report also says China's top gold-producing provinces last year were Shandong, Henan, Jiangxi, Yunnan and Fujian. China also imports gold by the ton each year buying up much of the gold sold by western banks and holdings. Marcus Grubb, managing director for investment at the World Gold Council, pointed out, at a recent industry briefing, that the cultural importance of gold is both a luxury purchase as well as an investment vehicle throughout Asia and particularly in India and China, and is likely to be a key driver of continued price increases over the coming years. "India and China account for 40 per cent of global demand for gold," Mr Grubb said. "These markets are vital to underpinning prices. Even though it is a discretionary asset, there will not be big differences between [the performance of] gold and copper, for example." He added that, as inflationary concerns grew across both emerging and developed markets, investing in gold could prove beneficial as it, "has a great history as a hedge against inflation." John Chatfield-Roberts, the chief investment officer at Jupiter Asset Management, also agreed that gold was not experiencing a bubble. Instead, he claims more money has been invested in bonds in recent years than had been put into equity funds at the peak of the tech bubble. A sure indicator that gold is considered more stable than bonds, which are more subject to the of the financial markets. After financially successful august "luminaries" as the World Bank president Robert Zoellick, Warren Buffett's father Howard, Jim Grant, and, most recently, Kansas Fed president Thomas Hoenig, declared their support for a return to the gold standard, the most recent addition to the line up is ... wait for it ... none other than the former Fed Chairman - Alan Greenspan! In a recent interview with Fox Business Greenspan stated, "We have at this particular stage a fiat money which is essentially money printed by a government and it's usually a central bank which is authorized to do so. Some mechanism has got to be in place that restricts the amount of money which is produced, either a gold standard or a currency board, because unless you do that all of history suggest that inflation will take hold with very deleterious effects on economic activity... There are numbers of us, myself included, who strongly believe that we did very well in the 1870 to 1914 period with an international gold standard." And in a further stunner: Greenspan himself wonders if we really need a central bank! At Zero edge, Tyler Durden makes the point, "Now our only question: why couldn't the maestro speak as clearly and coherently during his tenure which resulted in our current near-terminal financial state. And as a reminder, courtesy of Dylan Grice, if and when we do get a return to a gold standard there would be a need to reindex the monetary base to a real time equivalent price of gold, putting the price of the precious metal at about $6,300: "The US owns nearly 263m troy ounces of gold (the world's biggest holder) while the Fed's monetary base is $1.7 trillion. So the price of gold at which the US dollars would be fully gold-backed is currently around $6,300." And here you have people worried about day trading volatility..."
A Senior Perth Mint official stated yesterday that the demand for gold bullion is unrelenting since the price dropped below 1400 dollars an ounce. "At the moment demand is such that we cannot meet all the enquiries that we are getting," said Nigel Moffatt, treasurer of the Perth Mint, one of the world's largest gold refiners and distributors. "Demand for our coins and medallions is strong, but the biggest demand is coming from banks and traders looking for kilo bars," he told Dow Jones Newswires. According to the Dow Jones Newswire, one-kilogram bars are the most popular trading instrument in Asia's physical market. Demand doesn't appear to be directly related to the upcoming Chinese Lunar New Year, with buying also coming from in from India, Moffatt said. "The way I see it at this point, it is because of the current correction in the price rather than anything else," he said. Spot gold has declined 3.1% since the start of 2011 to $1,376/oz during Asian trade Tuesday after hitting a low of $1,353/oz Friday. Moffatt said premiums for physical gold had "doubled" in the past week, but declined to provide any figures. Mitsui Global Precious Metals said in a report that gold was trading at premiums of up to $3 an ounce over the spot price in Hong Kong Monday. The steady rise of gold and the catch cry, Buy Gold! The phase buy gold has echoed through the past decade like the call of a Greek Siren and not surprisingly either. The end of 2010 marks the steady rise of gold for ten years. From a low of $255 to a high of $1,421, a rise of 457%. In the short term gold may have its ups and downs but for sheer consistency, gold has to take the biscuit. And this consistent rise is not wholly due to financial difficulties in the market place. During the hey days of high interest rates and shiny stocks in the mid 2000s, gold was steadily rising and showed, indeed continues to show, no signs of slowing down. The value of gold has, in fact, changed hardly at all. In terms of purchasing power an ounce or gram of gold continues to purchase the same value of goods and services as it ever did. The apparent rise in the price of gold is the amount of currency i.e. dollars that are now needed to purchase an ounce or gram of gold. So factors contributing to this steady rise include not only the perception of a hard asset being a safe haven in times of economic instability but also the increase in currency printed leading to the drop in value of that currency and resulting in more of it required therefore, to purchase the same value of goods and services and, in this case, gold. So the catch cry, buy gold is not without foundation then as it continues to maintain its value while currencies all around are losing their value. Who can say what 2011 will bring. But, given it's history, it is likely to continue the rise come what may and a figure of 1800 dollars an ounce is not unrealistic. The US Mint reports record sales on the first day of January 2011. American Eagle Silver bullion coins are selling like hot cakes. Almost 1.7 million one ounce silver bullion coins were sold on the first day of the year. The Mint has also recently reported a total of one-ounce American Eagle gold bullion sales of 1,143,000 coins last year, down 14% from 1,315,500 bullion coins sold in 2009. But or the first day of gold bullion sales on the 3rd of January 2011 a total of 8.5 thousand one ounce silver bullion coins were sold. A total of 34,662,500 one-ounce American Eagle silver bullion coins were sold in 2010, an increase of 5,896,000 over the previous year. And while silver bullion coin sales hit a record 4.26 million ounces in November 2010, there was a decline in December 2010 to 1,772,000 ounces sold. Gold bullion one-ounce sales also plunged to 58,500 coins sold in December 2010, the lowest total sales for any month of 2010. Gold sales peaked in May 2010 when 190,000 one-ounce bullion coins were sold. The Mint also reported strong sales of 825,500 of the newly issued America the Beautiful 5-oz silver bullion coins in December 2010. Meanwhile percentage changes for the period December 2009 to December 2010 showed that silver rose 83.7 percent during 2010, gold 29.8 percent. The Gold/Silver Ratio dropped 29.4 percent. The Dow in silver ounces, dropped 45.9 percent, Dow in gold Dollars, -14.5 percent, Dow Jones Industrial Average rose 11.0, the S&P500 rose 12.8 and the Nasdaq Comp 12.8 percent. Silver now hovers around the 30 dollars an ounce mark and look set to move up even further with the steady removal of shorting by major banks. Not surprising therefore that the American Eagle silver bullion coins are selling like hotcakes. HANOI, Vietnam -- Do Hai Ninh has been stashing away her meager earnings until finally saving enough to make a deposit. But the high school teacher isn't about to put her money into a Vietnamese bank with the value of the local currency steadily dropping. She's investing in a safer bet: gold. Jewelry shops and black-market money changers have overflowed with customers in recent weeks, desperate to unload their Vietnamese dong for greenbacks or gold nuggets as the fast-growing Southeast Asian nation is buffeted by double-digit inflation and the near collapse of one of its largest state-owned companies. The problems have underlined the downsides of the Communist government's push for rapid economic growth, which has lifted millions out of poverty but created new challenges that the country's technocrats are often ill-equipped to deal with. A bill, seeking to provide greater control for circulating coin compositions, has implications for the quantity of United States Mint gold and silver bullion coins that are available to precious metals investors. The bill H.R. 6162 Coin Modernization, Oversight, and Continuity Act of 2010 primarily establishes rules for the Secretary of the Treasury to provide biennial reports to specified committees on the costs related to circulating coins, and make recommendations for new metallic materials or procedures. A final section of the bill deals with "meeting the demand for gold and silver numismatic items", although the implications seem to extend to bullion coins. The subcommittee chairman, Melvin Watt introduced the bill H.R. 6162. Subsections (e) and (i) of section 5112 of title 31, United States Code are each amended by striking 'quantities' and inserting 'qualities and quantities that the Secretary determines are'. There is a fortune to be made in scrap gold! Find out how to start a scrap gold business Today! A similar change occurs for subsection (i), which deals with American Gold Eagles. The inclusion of the word "qualities" was necessary to accomplish the presumed goal of the legislation to allow the issuance of numismatic versions of the coins, but what about the added phrase "that the Secretary determines are sufficient"? Is the amount of gold and silver bullion coins that the Secretary determines are sufficient to meet public demand different that than amount which will actually meet public demand? Even under the strict existing standard, there have been extended periods of time when full public demand was clearly not being met. The sale of Gold and Silver Eagle bullion coins have been completely suspended for brief periods, and rationed for considerably longer periods. Most recently, Gold Eagles were subject to rationing from December 2009 until March 2010, and Silver Eagles were rationed from December 2009 until September 2010. What will happen if the standard becomes less strict and more indefinite? Besides the American Gold and Silver Eagles, no other US Mint bullion programs carry the requirement to be produced in quantities sufficient to meet public demand. The language varies, but each program is effectively left to the discretion of the Secretary of the Treasury. "Not later than 6 months after the date of enactment of the Presidential $1 Coin Act of 2005, the Secretary shall commence striking and issuing for sale such number of $50 gold bullion and proof coins as the Secretary may determine to be appropriate, in such quantities, as the Secretary, in the Secretary's discretion, may prescribe." "The Secretary may mint and issue platinum bullion coins and proof platinum coins in accordance with such specifications, designs, varieties, quantities, denominations, and inscriptions as the Secretary, in the Secretary's discretion, may prescribe from time to time." "The Secretary shall strike and make available for sale such number of bullion coins as the Secretary determines to be appropriate that are exact duplicates of the quarter dollars issued under subsection (t)"
Granted that there is no public demand requirement, but how is the Treasury Secretary doing with these other gold and silver bullion programs? Inventories of the American Gold Buffalo bullion coins were completely depleted by the end of September 2010. At that point, the US Mint indicated that no further inventory of 2010-dated bullion coins would be made available. The American Platinum Eagle has not been available in bullion format for more than two years. After final inventories were exhausted in late 2008, the US Mint indicated that the 2009 release would be delayed. The 2009-dated bullion coins were eventually canceled. The US Mint has not provided any information on 2010-dated bullion coins, and none have been issued to date. The America the Beautiful Silver Bullion Coins went on sale to authorized purchasers today. The supply was so limited that the US Mint urged primary distributors to keep prices reasonable. Market forces took precedence and the bullion coins have been selling for double the silver value, or more. As the bill has already been passed in the House and Senate, and only requires the President's signature to become law, it seems too late to do anything other than brace for the possible repercussions. The 5th Annual China Gold & Precious Metals Summit 2010, co-hosted by Shanghai Gold & Jewelry Trade Association and IGVision International Corporation Shanghai, will be held on December 1st 2nd and 3rd at the Majesty Plaza, 719 Nanjing Rd. (E)/700 Jiujiang Rd.Shanghai, China. This is China's largest networking and information exchange platform for gold & precious metals each year. China's gold demand in 2009 increased by seven percent year-on-year to a total of 461.9 tonnes. Gold consumption for jewellery manufacture reached 347.1 tonnes from 326.7 tonnes in 2008, representing about 20% of world gold jewellery demand. Net retail investment in gold stood at 80.5 tonnes, up 22% from 65.9 tonnes in 2008.
,p> By the 1st half of 2010, gold trading volume totaled 3174.54 tonnes on the Shanghai Gold Exchange, and the amount of silver trading climbed to 18073.04 tonnes. Meanwhile, the turnover of futures-trading for gold reached RMB 965.9 bn, accounting for a bit less than two third of total turnover in 2009. There is also a map on the site and you can register at the hotel from the site also. Gold Value or Gold Price? On the one hand, Gold fell hard against the US Dollar in London on Friday, yet the gold price in Australian Dollars hit a fresh 4-month high when the "commodity currency" fell hard on the forex market. Gold going down in one currency and up in another? Of course currencies are fluctuating wildly now as the 'currency war' starts to grip the international scene so what about the price of gold. Does that fluctuate too? It can be confusing but if one looks at gold as a value, not as a price it starts to become a bit clearer. The price of gold does not, in fact rise or fall but the value of the currency used to buy or sell it does. Depending on which currency you use of course, and how much of it there is around. Buy gold in one currency and sell in another? Nar, that does not help. An ounce of gold can be traded for the same value of commodity or service now as it did say 30 or even 50 years ago. Say a good quality gentlemans suit for example. But the amount of currency needed to buy that same suit. Ah, that has decidedly changed. The cost of that suit matches, interestingly enough, the value of one ounce of gold, give or take a bit. And therein lies the true value of gold. Hoard paper currency and the value of your holding drops as more paper money is gayly printed and added to the nations pile, even with the little bit of interest you might earn, (taxed of course) so you are going to need more of it to buy the same goods. But one ounce of gold still gets you the same commodity. You don't need any 'extra' gold. According to an article in Bloomberg, Gold's a record 23 percent surge is no deterrent to George Soros, John Paulson and Paul Touradji, whose investments into gold signal more gains for the longest winning streak in at least nine decades. "Securities and Exchange Commission filings this month by Soros Fund Management LLC, Paulson & Co. and Touradji Capital Management LP listed investments in gold as their biggest holdings. Exchange-traded products own 2,088 metric tons, equal to nine years of U.S. mine supply, data compiled by Bloomberg show. Precious metals will produce the best commodity returns in the next year." Goldman Sachs Group Inc. said in a recent report. "People who are selling gold here are making a big mistake," said Michael Pento, a senior economist at Euro Pacific Capital Inc. in New York who correctly predicted gold's highs the past two years. "The gold bull market will end when real interest rates become positive and we"re very far away from that. The Fed believes it's going to have to print more money to keep real interest rates from rising and rescue the economy." Since September 2007 gold has gained 87 percent. "QE2 just further strengthens the already strong market for hard assets like gold," said Michael Cuggino, manager of $9 billion at Permanent Portfolio Funds in San Francisco, and has about 20 percent of his assets in gold. "Real short - term interest rates after inflation are still negative and until that changes, commodities are going to continue to make higher highs." "Gold is the preferred currency right now," said Ronald Stoeferle, an analyst at Erste Group Bank AG in Vienna who expects gold to reach $1,600 by June. "The Fed can print and produce money, but it cannot produce confidence and trust in the U.S. dollar." The British Royal mint reports that gold coin sales have soared 400 percent compared to last year (2009). Commemorative gold and silver coins are hitting record levels according to the Mint. "In these days of economic uncertainty people look for something they can see as being a bit more secure," Dave Knight, director of commemorative coins at Royal Mint, told the BBC. Mr Knight said it was not part of his role to comment on whether gold is a good investment, but he added: "Gold coins are something that have been around a long time and people have a lot of confidence in them. "We sell a lot to the big institutions, which are presumably for investment. But there's also a big growth in the desire to collect coins. "These coins are works of art. And they are something that can last forever," he said. only recently a limited edition silver 5 pound coin commemorating musician John Lennon was sold out in five days. Mr Knight said that to sell the 5,000-coin issue in such a short space of time was "extraordinary". World Bank president Robert Zoellick has called on bickering G20 nations to bring gold back into the global monetary system as an anchor to guide currency movements. Ahead of a Group of 20 summit this week in Seoul, Zoellick said an updated gold standard could help retool the world economy at a time of serious tensions over currencies and US monetary policy. He said the world needed a new regime to succeed the "Bretton Woods II" system of floating currencies, which has been in place since the fixed-rate currency system linked to gold broke down in 1971. The new system "is likely to need to involve the dollar, the euro, the yen, the pound and a renminbi (Chinese yuan) that moves towards internationalisation and then an open capital account", he wrote in Monday's Financial Times. "The system should also consider employing gold as an international reference point of market expectations about inflation, deflation and future currency values," Zoellick said in a commentary piece. The original Bretton Woods agreement laid out a US-led framework for stability in the world financial system after World War II, with the US dollar pegged to gold and controls in place to limit the flow of capital. The gold standard is believed to help guard against inflation but does not allow for the flexible monetary policy that many economists believe is essential in counteracting economic shocks. It was abandoned by US president Richard Nixon in 1971 as the dollar's value plummeted relative to gold. Today, gold prices are again riding as investors seek a timeless hedge against the risks of inflation and US indebtedness. Zoellick acknowledged that forging a new monetary agreement to govern the world economy would take time, two years after the West's worst financial crisis since the 1930s. "But we need to begin," he wrote. The World Bank chief's comments came amid worries of a new "currency war", when countries jostle for trade advantage by massaging their exchange rates lower. The United States has led accusations that China cheats in world trade by artificially weakening its currency. But Washington also stands accused of tolerating a weak dollar, roiling emerging markets whose own currencies are rising strongly, hurting their export competitiveness. The complaints have intensified since the Federal Reserve last week announced a $US600 billion shot of monetary stimulus - in effect printing money that other economies worry will flood their markets. Zoellick also called on the G20, whose leaders meet in the South Korean capital on Thursday and Friday, to forge structural reforms, including more domestic demand in China and more debt-reduction in the United States. Major economies "should agree to forego currency intervention, except in rare circumstances agreed to by others", he added. The G20 could work out tools to help emerging economies cope with the kinds of hot-money flows that are now driving up their currencies and creating fears of asset bubbles. And the G20 should "support growth by focusing on supply-side bottlenecks in developing countries", such as infrastructure, agriculture and a lack of skilled labour, Zoellick said. "Perhaps most importantly, this package could get governments ahead of problems instead of reacting to economic, political and social storms," the World Bank president said. He argued that the G20 faced a choice between "drive or drift". "How the G20 decides could determine whether multilateral co-operation can achieve a strong economic recovery," Zoellick concluded. It is unlikely you will have heard of the monetary policy subcommittee also known as the House Subcommittee for Domestic Monetary Policy and Technology. This is a subdivision of the House Financial Services Committee mostly occupying itself with small issues such as commemorative coins and the fate of the penny. "I will approach that committee like no one has ever approached it because we're living in times like no one has ever seen," Paul stated in an interview with NetNet Thursday. Paul said his first priority will be to open up the books of the Federal Reserve to the American people. "We need to create transparency there. To see what it is they are buying and lending, and who it is they are dealing with," he went on. Paul mentioned that he hoped to use subcommittee hearings to educate the public about the causes of business cycles - which he believes are mainly attributable to monetary manipulation by central bankers. "We will have to have monetary reform," Paul said. "I think those on the other side of this issue are already planning. They are going to try to replace a bad system with an equally bad system." The world's largest storer of gold, the Federal Reserve Bank of New York, has said it holds bullion from far fewer countries than it had previously reported, shedding a rare chink of light on the opaque activities of central banks in the gold market. Central banks have helped drive prices to all-time nominal highs by becoming net buyers of bullion this year for the first time in 22 years. But trades by central banks are often secret -- as is where they store their vast gold reserves. The New York Fed revised down the number of countries whose gold it stores by 40 per cent to 36, from a 2004 statement in which it said it held about 60 nations' gold. Ben Davis, CEO Hinde Capital gives a talk on the gold market. Good evening, ladies and gentlemen. My name is Ben Davies and I co-founded Hinde Capital, a UK-based investment manager, with a gentleman called Mark Mahaffey. They say you get invited to speak only twice in your career at the CMRE -- once on the way up and once on the way down. It's good to be back. Undoubtedly, though, there is one other ingredient -- experience. My work partner once said to me, "Never trust with managing your money anyone under the age of 30, because they ain't seen nothing." I tend to agree with him. He expanded on this: "Markets go only two ways -- up or down -- so you've got a 50-50 shot." Gold dropped about 3 percent over night after a US dollar surge as a result of China lifting its interest rates suddenly overnight. "We have been due for a correction in the gold and some other commodity markets, and China's rate hike and Geithner's statement provided the vehicle for the heavy selling in commodities and currencies across the board," said Bill O'Neill, partner at commodities firm LOGIC Advisors. Prices fell in heavy trading volume after China surprised markets with its first rate hike since 2007. The Australian Dollar was weaker also retreating from its parity with the US dollar. The end of the year festivals in India are starting to stir excitement. Especially the festival of Navratri which prompted a "heavy rush" in gold activity in Vadodara in the Indian state of Gujarat, according to IBN Live News. This festival lasts for nine nights running from October 8th-16th. The festival honours the goddess Durga with festivities and dancing and, as with other Indian festivals this time of the year, there is typically a surge in gold purchases coinciding with the dates on which Navratri takes place. Haresh Bhai of Premji Walji Jewellers told IBN Live News that this year was no exception. 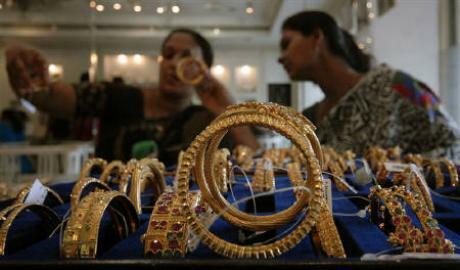 "People are buying more gold during Navratri this time as compared to last year," he said during the festival. "We are likely to see heavy demand till the wedding season." Gold Gift-giving at marriage ceremonies is a big tradition and integral part of the culture and a big driving force behind the retail gold market in India. A multitude of Weddings will taking place in greater numbers in the months to come and, with the festival season well under way, the gold market is being buoyed as a result. The period of Shradh, an inauspicious time to buy gold, ended on Wednesday, and Thursday marks the re-start of festivals such as Mahalaya in West Bengal. The next big gold purchasing festival, Dhanteras, will fall in November when gold jewellers register the highest sales every year. This has prompted MMTC Ltd., the country's second-largest gold importer, to increase December quarter imports by 37 percent to 55-60 tonnes. Gold of 99.95 percent purity hit an all-time high of 18,325 rupees (405 dollars) per 10 grams in Mumbai on Friday. The Federal Reserve Bank of New York apparently has 300 million dollars worth of gold sitting in its vaults in lower Manhattan. This building which covers a city block, contains some of the most sophisticated electronic security devised to secure the vaults 80 metres below the surface behind a 90 ton steel cylinder door. This is one of the largest accumulations of gold in the world. Just sitting there. In such lean times and with a mounting debt in the trillions, why is $300 billion worth of government treasure simply sitting in vaults when it could be put to good use? "I don't think that any change in the gold policy is even on the screen," said Dale Henderson, a visiting professor of economics at Georgetown University. "It's a bit of a mystery to me." As a research economist at the Federal Reserve, Henderson co-authored a study in 1997 called "Can Government Gold Be Put to Better Use?" Yes, the paper concluded: selling or loaning out some or all of the reserves is preferable to doing nothing. "It's an opportunity cost for the government," Henderson stated to a journalist. "The country has this gold and is borrowing to finance its activities. If we're trying to maximize the return on the country's assets, then we should borrow a little less and sell some of the gold." Under current law, income from the sale of gold should be used to reduce the national debt, And Washington's corpulent spending standards, $300 billion may seem a modest sum, but it's hardly trivial. For example it could reduce the $1.3 trillion debt by over 20 percent. No small bikkies. So why hasn't the U.S. cashed in some gold, as several European central banks have recently done? The Federal reserve seems more bent on printing more and more paper money regardless of the risk of inflation, "making the case for selling gold less persuasive", explained Martin Murenbeeld, a veteran gold analyst and the chief economist at Dundee Wealth. The United State is sitting on 8,965 tons, or roughly 260 million troy ounces, according to the Treasury Department. (Most of it is stored in Fort Knox, Kentucky; the New York Fed holds about 11 million troy ounces, along with gold reserves from other countries and international organizations.) Gold can be easily converted into cash and at current rates America gold is worth an each 300 billion dollars. Makes one wonder just how serious the government is about reducing the accumulating debt currently owed by every man, woman and child in the good old United States of America. Barry Bosworth, a senior fellow at the Brookings Institution and a former economic adviser in the Carter administration, said that the wisdom of selling would depend on what the government did with the proceeds. Reducing the nation's gold stock to finance, say, an increase in the strategic petroleum reserve might be savvy, he said, depending on the future price of oil. But selling gold, or any other national asset, to fund consumption just looks like a "gimmick." However, that doesn't change the fact that a gargantuan pile of America's wealth lies idle in a time of need. But a few thousand years of history remind us that gold is money that's immune to governmental reckless extravagance. Which is possibly why the most plausible explanation for the government's gold hoarding is political rather than economical. In a world of rising debt and fears of sovereign default, gold is popular once more. an online poll by Parade magazine in February found that 87 percent of readers believed America shouldn't sell its reserves. And a sell-off would likely trigger protests from gold investors, whose numbers have grown dramatically in recent years. Owning the commodity, on the other hand, allows the government to enjoy the aura, if not the substance, of monetary prudence, a state of grace otherwise lacking in budgetary matters these days. As Murenbeeld said, "The best reserve-currency system is gold, because no other central bank can print the damn thing." There may not be an official gold standard but there is certainly an unofficial one. This is conformed by the heavy buying of gold by banks, gold fund managers, the wealthy and even small buyers. All wanting to preserve their wealthy in gold. Central banks have shifted from being fairly consistent net sellers of gold to net buyers in 2009 and 2010, a trend that seems likely to continue. Mature economies seem to be satisfied with the amount of gold they own, and have withdrawn from selling. Countries that run trade surpluses, including China, India and Russia, have been putting some of that surplus into gold, big time. And, there is a waiting list for buyers of gold bullion and small quantities. Production is only just keeping up. Some analysts believe that gold has a lot further to run before it stabilises out. Figures from 1600 to 2000 are tossed around. What is evident is that gold is not yesterdays child anymore. It is today's adult! It is fast becoming the standard by which other stored value and currency are measured. Currencies may go down or be unstable but gold continues to hold its head up high. The worlds wealthy are moving assets out of stocks and shares and putting it into gold bullion. According to Bankers Catering the worlds wealthy are working to protect their wealth from the economic instability by buying up gold by the bar and even by the tonne. Fears of a double-dip downturn have boosted the appetite for physical bullion as well as for mining company shares and exchange-traded funds, according to UBS executive Josef Stadler told the Reuters Global Private Banking Summit. "They don't only buy ETFs or futures; they buy physical gold," said Stadler, who runs the Swiss bank's services for clients with assets of at least $50 million to invest. UBS is recommending top-tier clients hold 7-10 percent of their assets in precious metals such as gold, which is on course for its tenth consecutive yearly gain. "We had a clear example of a couple buying over a ton of gold ... and carrying it to another place," Stadler said. At today's prices, that shipment would be worth about $42 million. Julius Baer's chief investment officer for Asia is also recommending that wealthy investors park some of their assets in gold as a defensive stance following a string of lackluster U.S. data and amid concerns about currency weakness. "I see gold as an insurance," Van Anantha-Nageswaran said. "I recommend 10 percent as minimum in portfolios and anything more than that to be used for trading purposes, to respond to short-term over-bought or over-sold signals." Both billionaires, financier George Soros, and investment guru Warren Buffett, have been investing heavily in gold in recent months and The uneasy outlook for inflation, hard currencies and global growth has triggered a five-fold increase in a physical gold fund launched by Pictet one year ago, the Swiss private bank said. "Racketeering suits (RICO), now as civil class action suits in two states, have hit the nail on the head. The civil suit says the banks do not have proper title to the homes on which they are foreclosing. This by direct inference questions if securitized debt on mortgages have real collateral behind them. Simply stated a long time ago by Marie Mcdonnell and myself, THEY DO NOT. That means legacy assets are cooked, dead, and worthless, yet are now marked up in value to cost and above. This is all thanks to FASB's capitulation that now represents a large amount of capital for the Western world's financial entities. The you know what hit the fan today for those that understand. October 4th 2010, the essence of securitized debt on mortgages died! That alone gives you gold at $1650." Seems gold still has a ways to go!